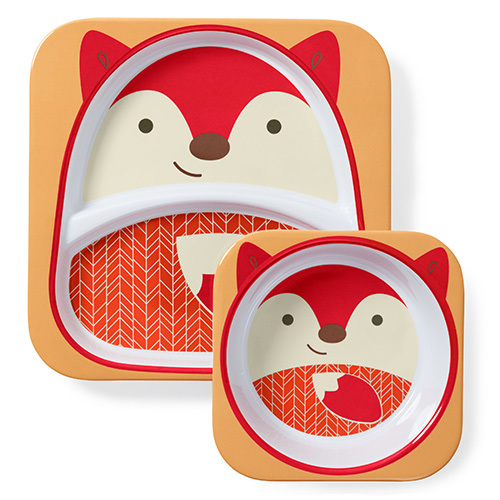 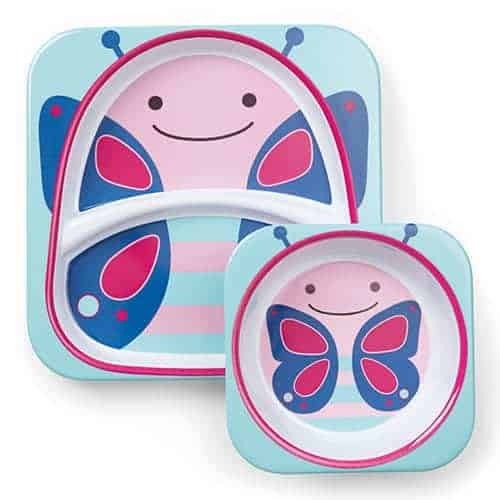 Our Skip Hop Plate and Bowl Set is the perfect addition to your little one’s mealtimes! 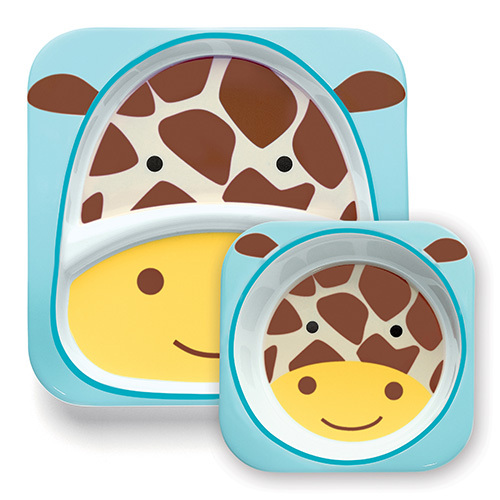 Our range of animal inspired plates and bowls are sure to entertain your child. 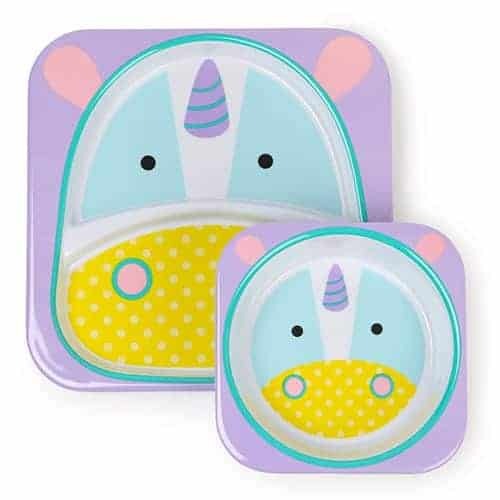 Some animals include cow, fox, unicorn and more! 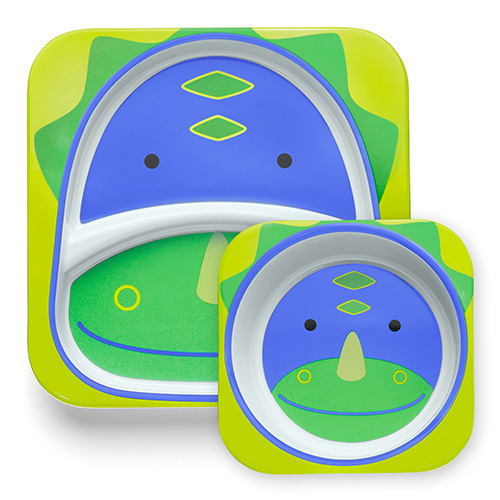 The plates have two sections, with 1 inch high sides to prevent food mixing. 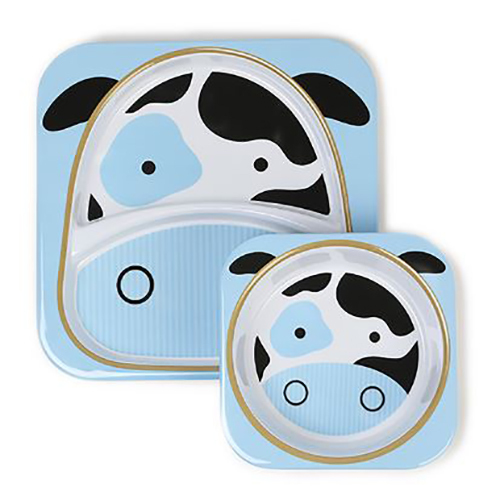 The plate and bowl are suitable for either hot or cold foods. 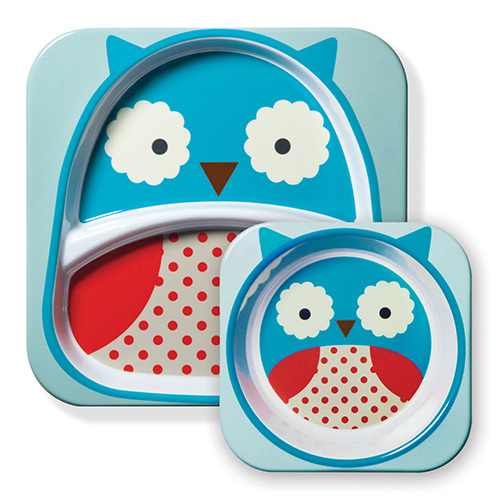 Putting these in the microwave is not recommended, although they are dishwasher safe. 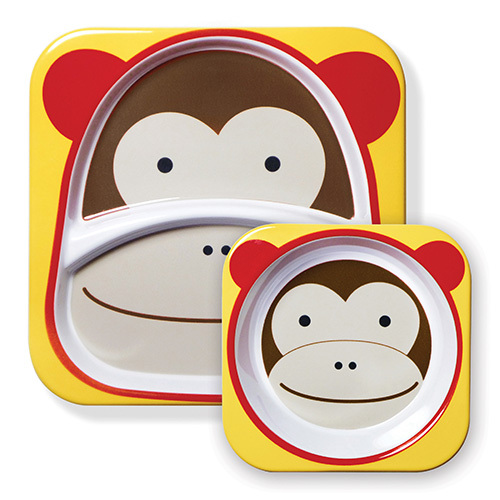 Alternatively, you can hand wash the set with warm, soapy water. 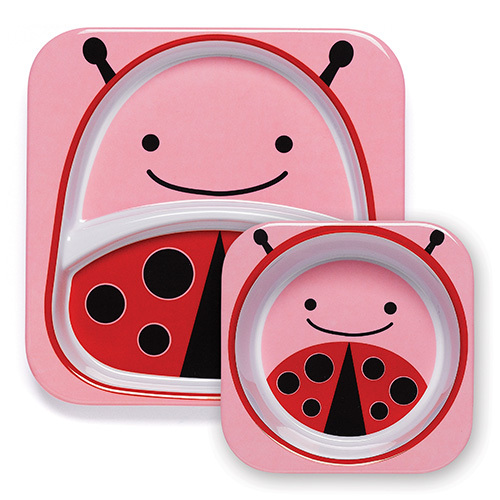 Complete the full set with our Backpack, Lunch pack, Spoon and Fork Set.